Live video on your PC... plus Video Capture, Edit and Burn! 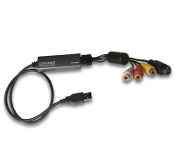 Watch live video on your PC screen from video cameras and other analog video sources. Record live video, too!